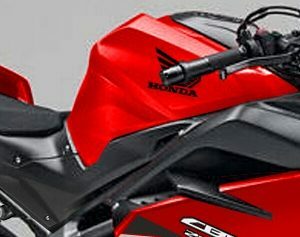 I’m back again with another cool SEMA 2016 build showcasing yet another custom 2017 Honda RidgeLine Truck with one of Honda’s ATVs but this time-around it is showcasing one of Honda’s 2017 TRX250X Sport ATV models with some cool goodies as you don’t see too many people actually modify the TRX250X sport ATVs (previously known as TRX250EX). If you haven’t seen it already, check out the other custom Honda RidgeLine and ATV build here that showcased a Rubicon 500 with a Nitrous Kit! 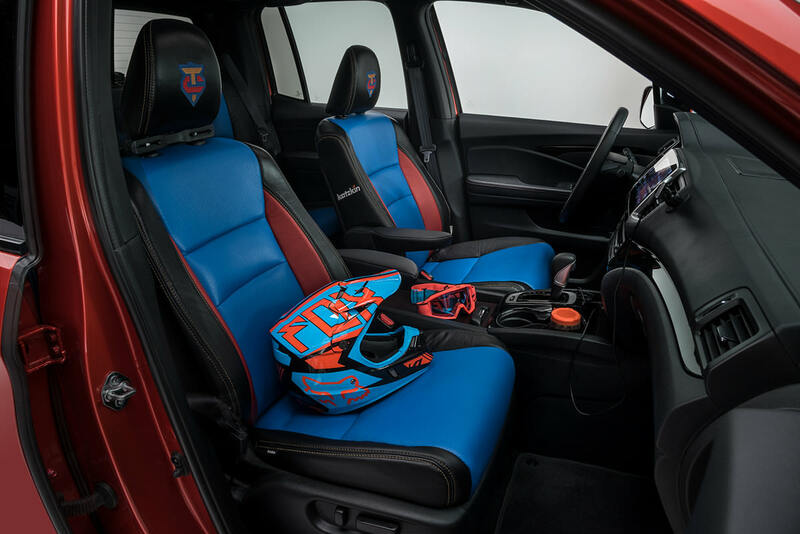 Yes… You read that correctly, a Honda FourTrax Foreman Rubicon with NITROUS! Sorry for getting a little sidetracked, the whole Honda utility 4×4 ATV with a nitrous setup still gets me distracted and excited haha! 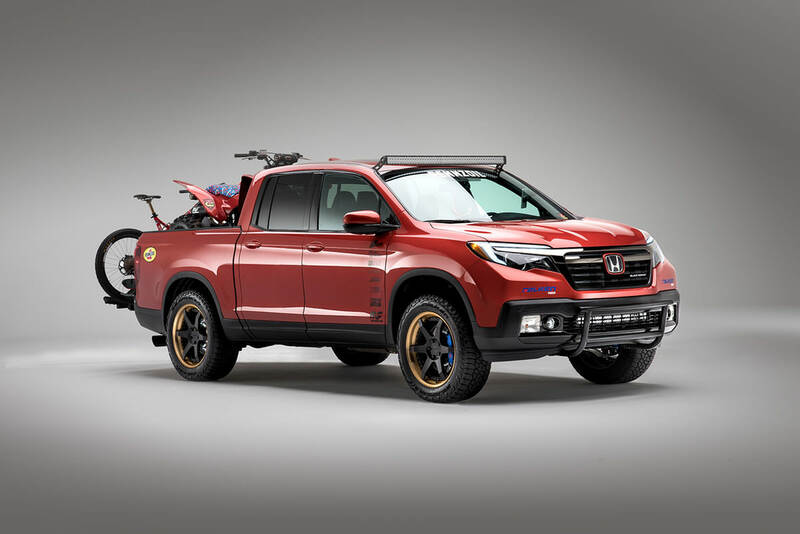 Debuting at this year’s SEMA Show in the Falken Tires Booth is the Tjin Edition X Pennzoil Honda Ridgeline, which has been paired with the race-ready Honda TRX250X ATV. 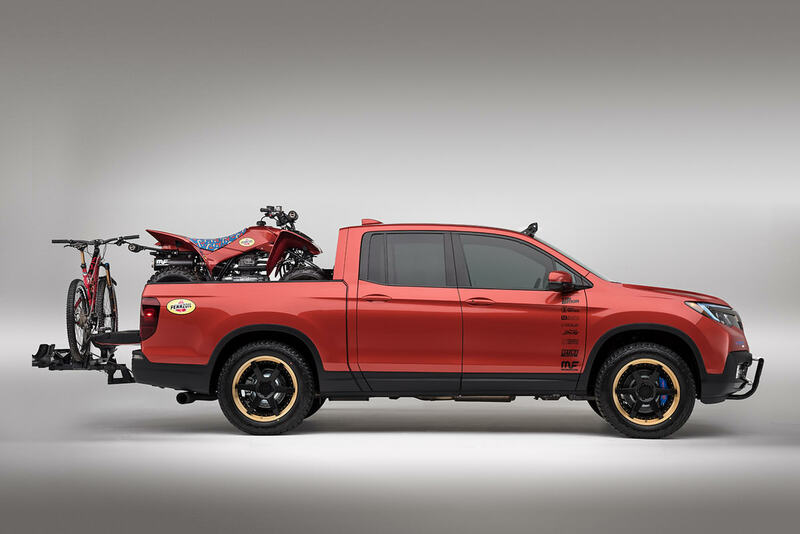 The Ridgeline’s off-road capabilities are enhanced by custom 20″ three-piece Rotiform wheels, 20″ Falken tires, Baer big brakes, and a custom Traxda suspension. The exterior features a custom Axalta paint job, MagnaFlow exhaust, custom front bumper and light bars by the crew at Unique Fabrication. 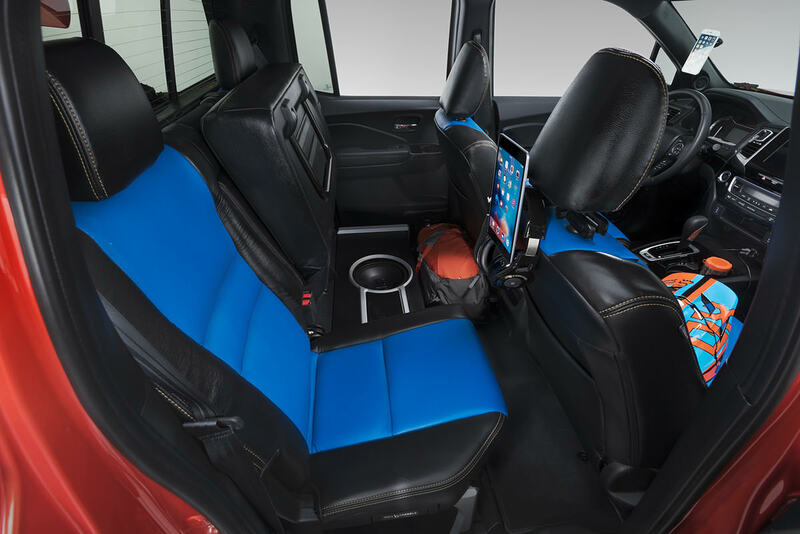 The interior has been completely transformed with a custom Katzkin interior and Scosche sound system. 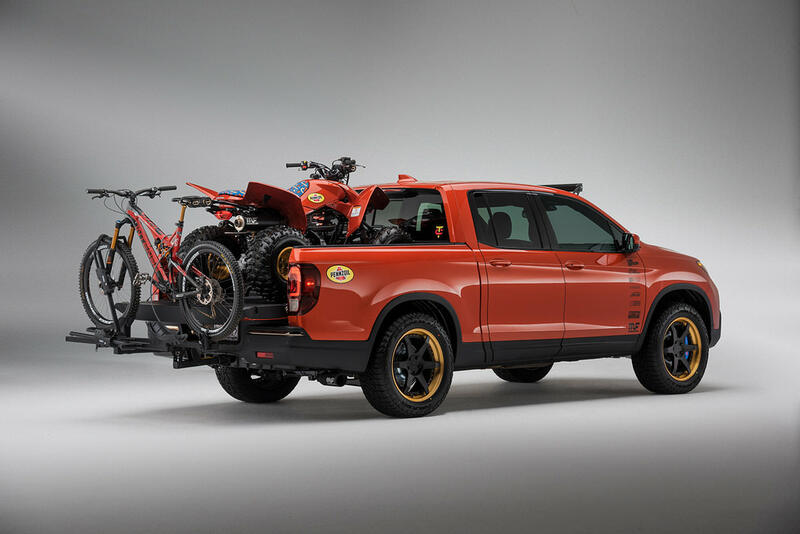 The Pennzoil x Tjin Edition Honda TRX250X was designed and built by Collin and Kylie Tjin to go hand and hand with the Pennzoil x Tjin Edition Honda Ridgeline, which will be showcased in the Falken Tire booth at the SEMA Show. 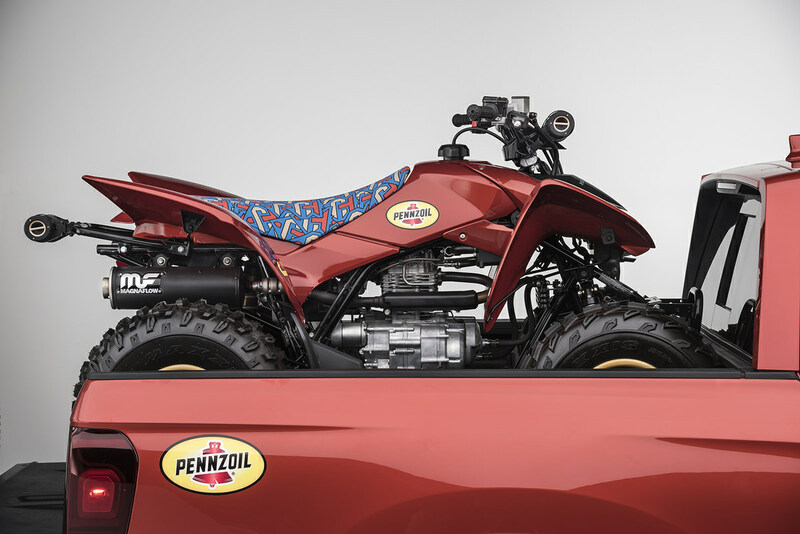 The Pennzoil x Tjin Edition Honda TRX250X is miniature replica of the Ridgeline and features a custom Axalta paint job, Fox suspension, powder coated gold wheels by Rotiform, custom CT seat, Scosche boom bottles, MagnaFlow exhaust, Pennzoil products and custom logos by Daley Visual.